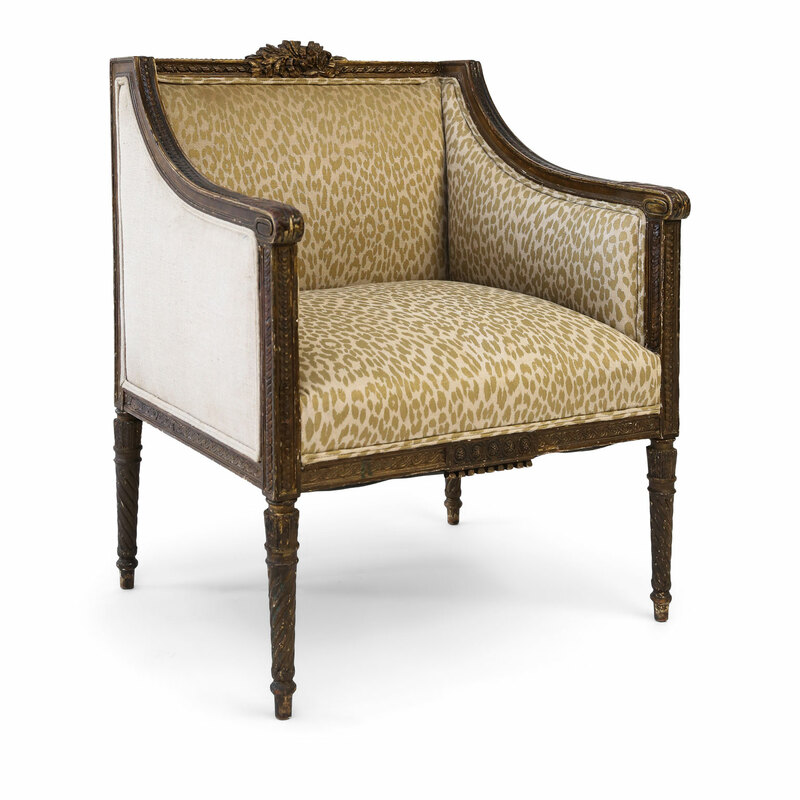 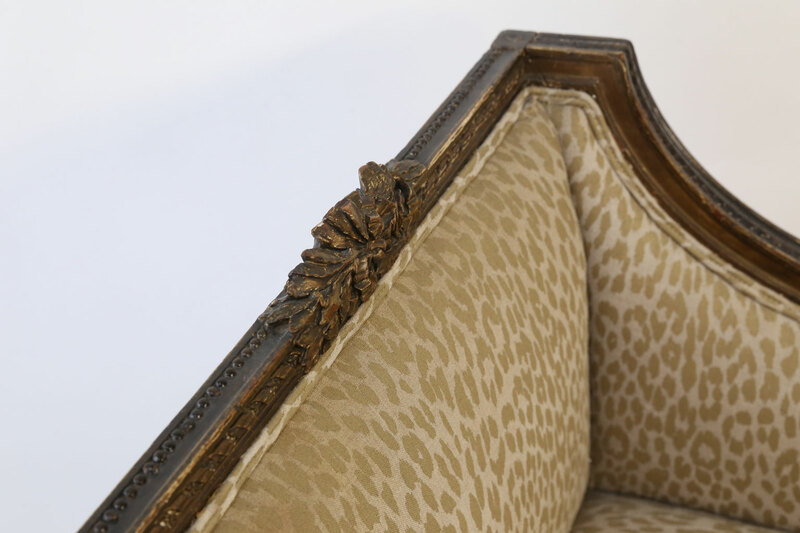 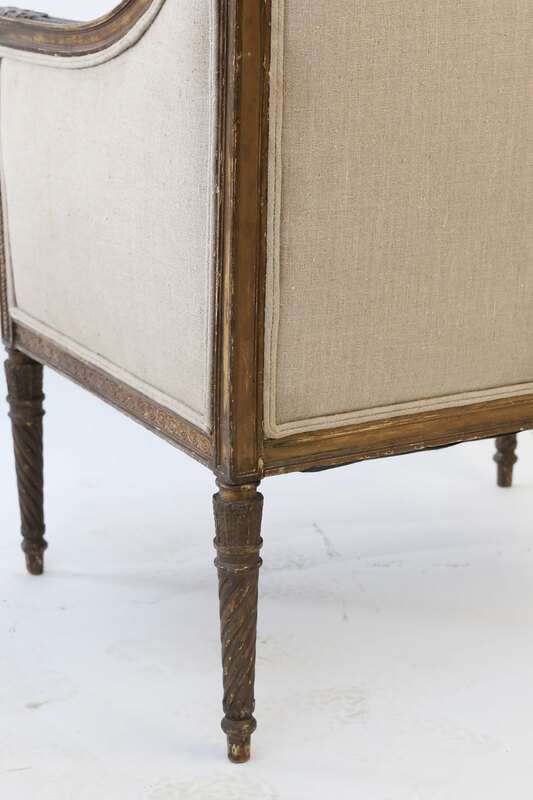 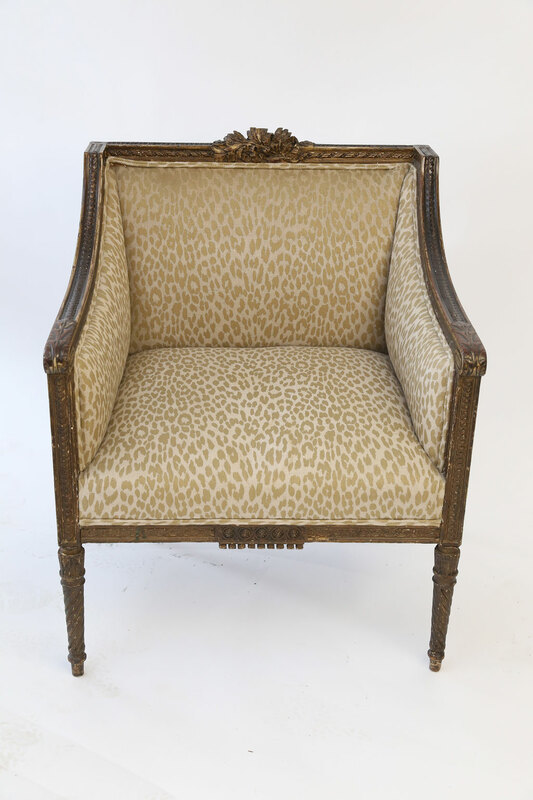 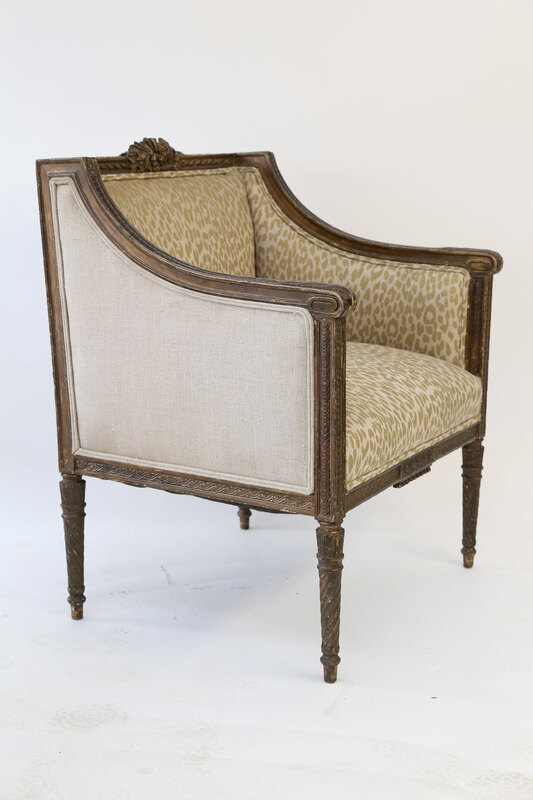 Hand-carved Louis XVI bergere from France, upholstered in vintage fabric. 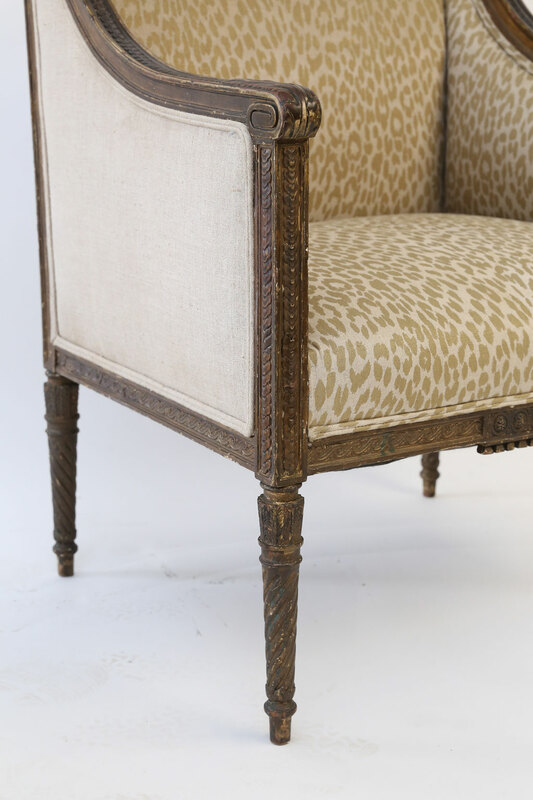 This 18th century French armchair is hand-carved in fruitwood (probably walnut) circa 1775-1795 with remnants of darkened gilt and gesso. 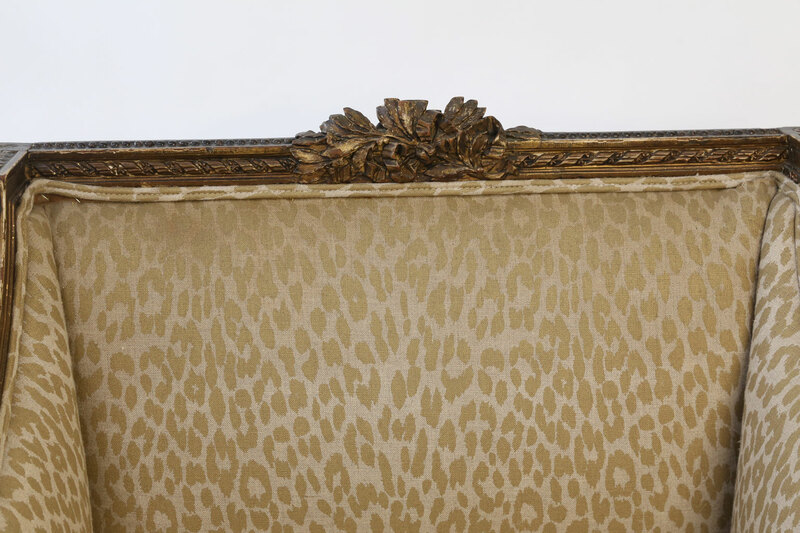 Condition: GoodSome losses to gilt finish. 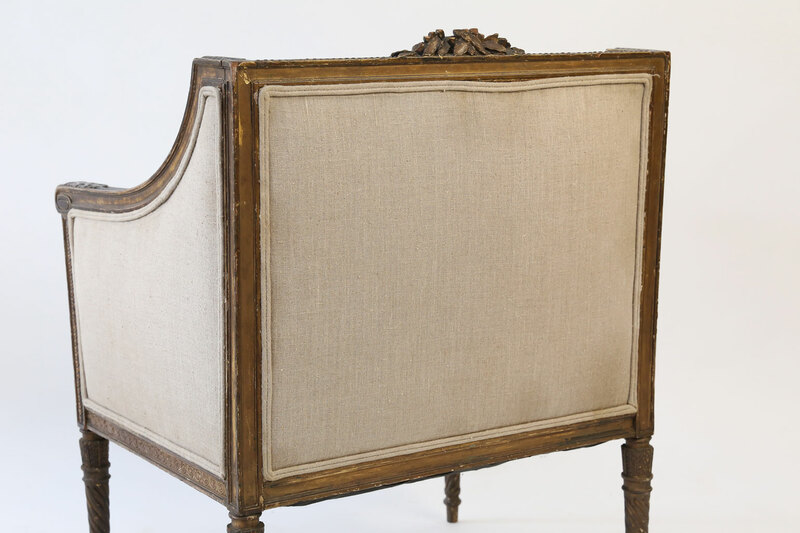 Finish darkened and faded from age. 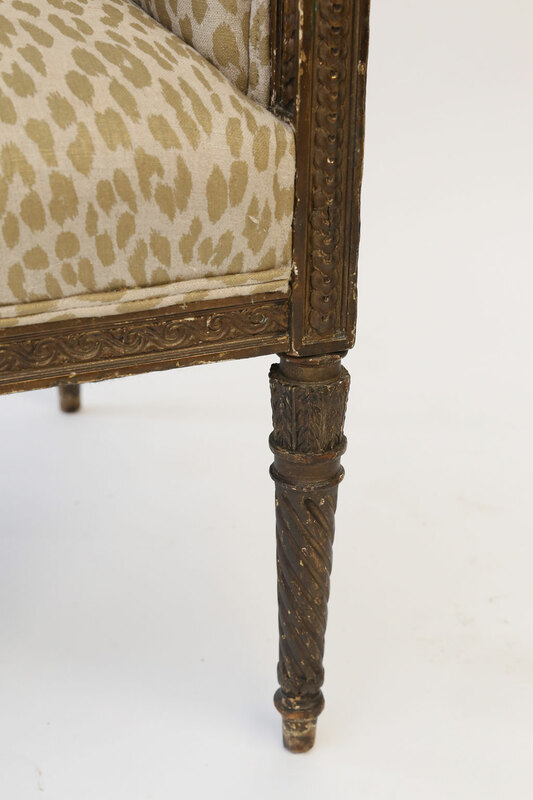 Loss of original finials where arms meet back. 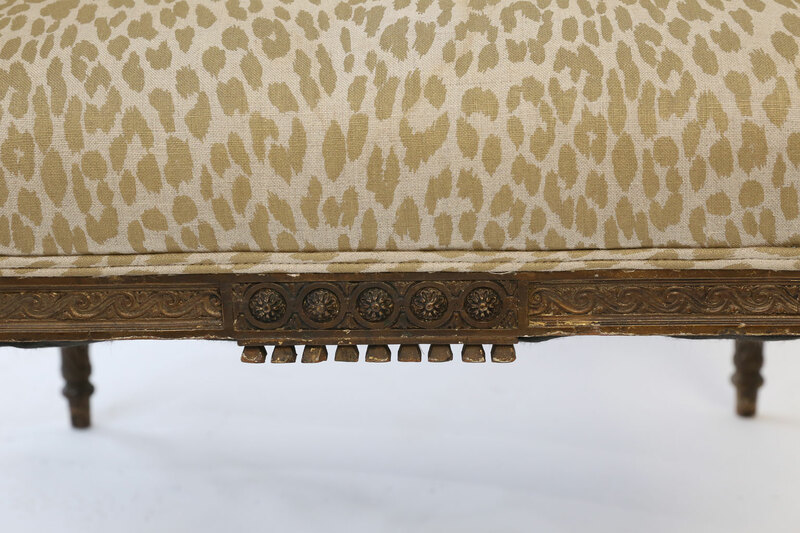 Seat measures 16.5 inches high x 20 inches wide x 18 inches deep and arm is 23 inches high. 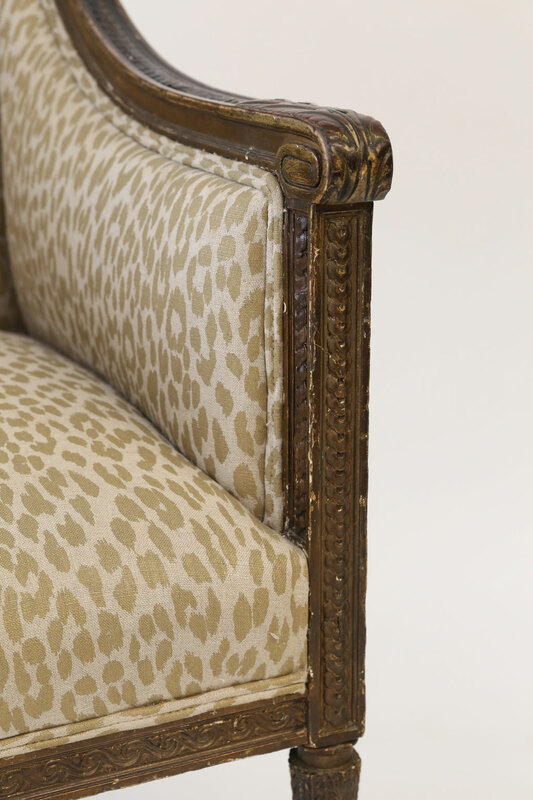 Materials: Walnut, gilding, gesso and upholstery.